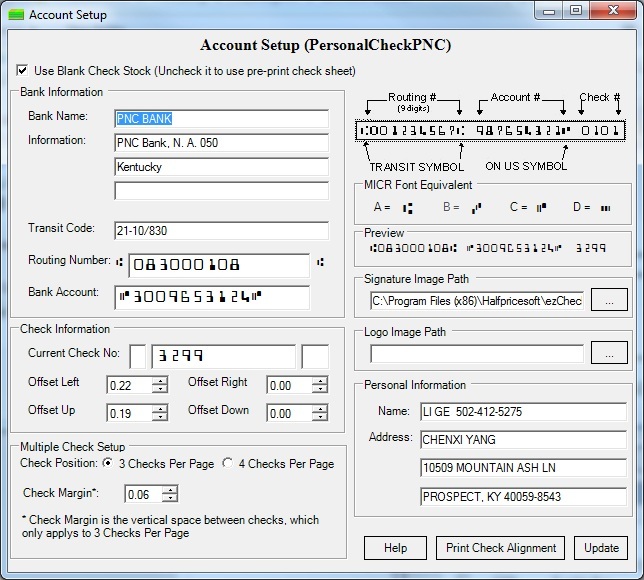 EzCheckPersonal check writer software version 4 allows users to design checks, print checks and pay bills faster. No cost offer is available for CA users at http://www.halfpricesoft.com. CA users can get ezCheckPersonal version 4 through TrialPay Offer at no cost for the application. 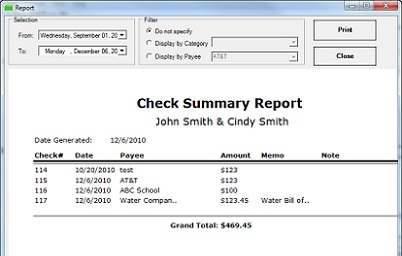 Halfpricesoft.com, the leading software provider of small business and families, released version 4 of ezCheckPersonal check writing software for CA personal finance. 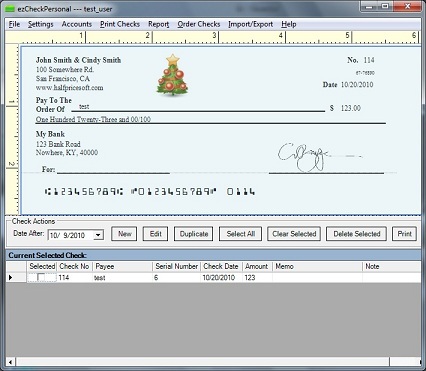 Customers who need personalized checks can design and print checks easily and inexpensively in house. 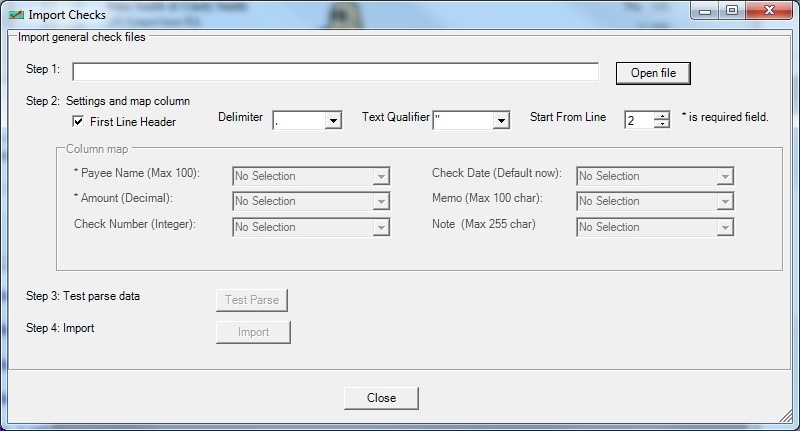 Best of all, California users can get this check writer software and the blank computer check paper at no cost through the new online special offers. "Family users can get ezCheckPersonal version 4 through TrialPay Offer at no cost for the application." said Dr Ge, the founder of halfpricesoft.com. 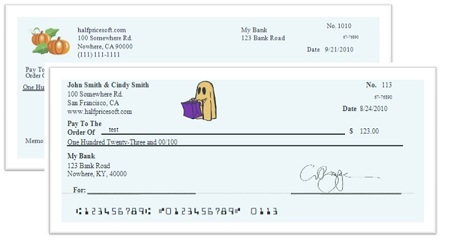 With the new edition ezCheckPersonal, the check design and printing software from Halfpricesoft.com, CA customers can easily design and print any style bank checks they want. It’s easy to change the font, add a logo, add a new label and even put the picture of pets on the check as the logo. Bank checks can be as entertaining or subtle as the customer would like. ezCheckPersonal is compatible with Windows 10, 8 7 system, 32-bit or 64-bit. It can run on Windows XP, Me, 2000, 2003 and Vista system too. 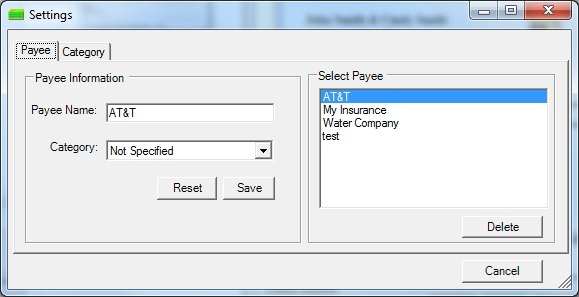 Any user can start a test drive by downloading it from http://www.halfpricesoft.com/check-printing-software.asp with no cost or obligation.